Lately, it seems like we all know someone suffering with diabetes, cancer, lupus, even food allergies or fatigue. Think about it, our bodies can become rather toxic. So what happens when these toxins are not released? We're sick! Ever since I watched the free online screening documentary Hungry for Change, I have a new found awareness that FOOD MATTERS. What if healing the body was really rather simple, would you reconsider how you fuel and repair your body? Do you know whether you have a 'Healthy Body pH Range?' Starting from today, you can test your body's pH balance and start improving your health. Research shows that unless the body's pH level is slightly alkaline, the body cannot heal itself. 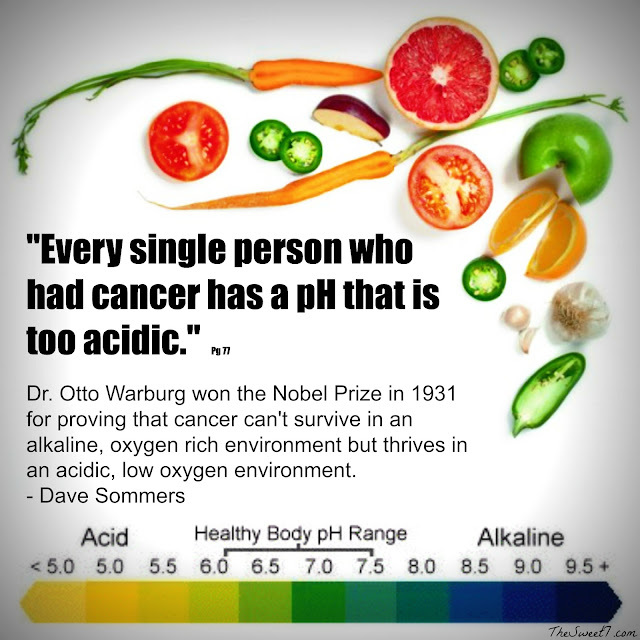 So no matter what means you choose to take care of your health, it won't be effective until the pH level is balanced. If your body's pH is not balanced, for example, you cannot effectively assimilate vitamins, minerals and food supplements. Your body pH affects everything. Acidosis will decrease the body's ability to absorb minerals and other nutrients, decrease the energy production in the cells, decrease it's ability to repair damaged cells, decrease it's ability to detoxify heavy metals, make tumor cells thrive, and make it more susceptible to fatigue and illness. It is recommended that you test your pH levels to determine if your body's pH needs immediate attention. By using pH test strips (Litmus Paper), you can determine your pH factor quickly and easily in the privacy of your own home. The best time to test your pH is about one hour before a meal and two hours after a meal. Saliva pH Test: Simply wet a piece of Litmus Paper with your saliva. While generally more acidic than blood, salivary pH mirrors the blood and tells us what the body retains. It is a fair indicator of the health of the extracellular fluids and their alkaline mineral reserves. The optimal pH for saliva is 6.4 to 6.8. 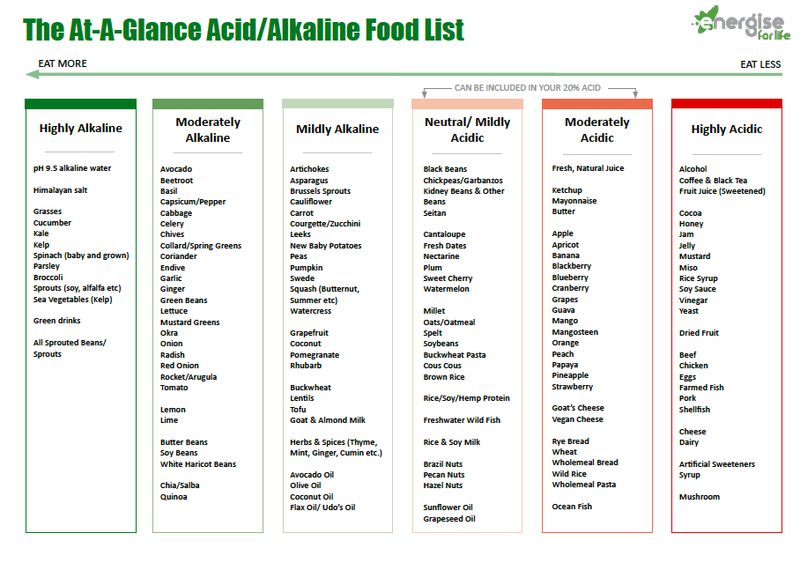 A reading lower than 6.4 is indicative of insufficient alkaline reserves. After eating, the saliva pH should rise to 7.5 or more. To deviate from an ideal salivary pH for an extended time invites illness. If your saliva stays between 6.5 and 7.5 all day, your body is functioning within a healthy range. Acidosis, an extended time in the acid pH state, can result in rheumatoid arthritis, diabetes, lupus, tuberculosis, osteoporosis, high blood pressure, most cancers and many more. If salivary pH stays too low, the diet should focus on fruit, vegetables and mineral water as well as remove strong acidifiers such as sodas, whole wheat and red meat. Urine pH Test: The pH of the urine indicates how the body is working to maintain the proper pH of the blood. The urine reveals the alkaline (building - anabolic) and acid (tearing down - catabolic) metabolic cycles. The pH of urine indicates the efforts of the body via the kidneys, adrenals, lungs and gonads to regulate pH through the buffer salts and hormones. Urine can provide a fairly accurate picture of body chemistry, because the kidneys filter out the buffer salts of pH regulation and provide values based on what the body is eliminating. Urine pH can vary from around 4.5 to 9.0 in extremes, but the ideal range is 6.0 to 7.0. If your urinary pH fluctuates between 6.0 to 6.5 first thing in the morning and between 6.5 and 7.0 in the evening before dinner, your body is functioning within a healthy range. Urine testing may indicate how well your body is excreting acids and assimilating minerals, especially calcium, magnesium, sodium and potassium. These minerals function as "buffers." Buffers are substances that help maintain and balance the body against the introduction of too much acidity or too much alkalinity. 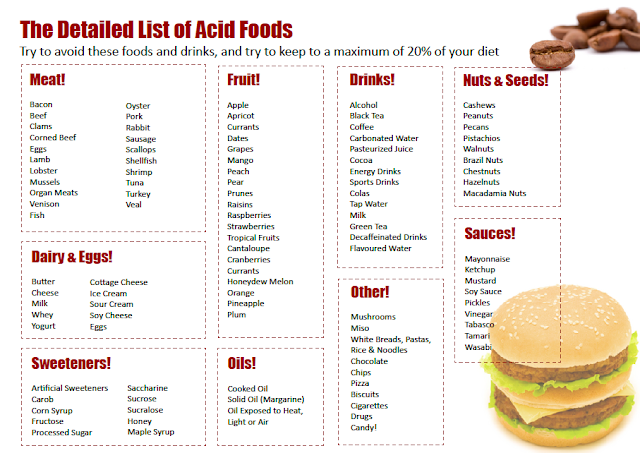 Even with the proper amounts of buffers, acid or alkaline levels can become stressful to the body's regulatory systems. When the body produces too many of these acids or alkalis, it must excrete the excess. The urine is the method the body uses to remove any excess acids or alkaline substances that cannot be buffered. If the body's buffering system is overwhelmed, a state of "autointoxication" exists, and attention should be given to reducing this stress. 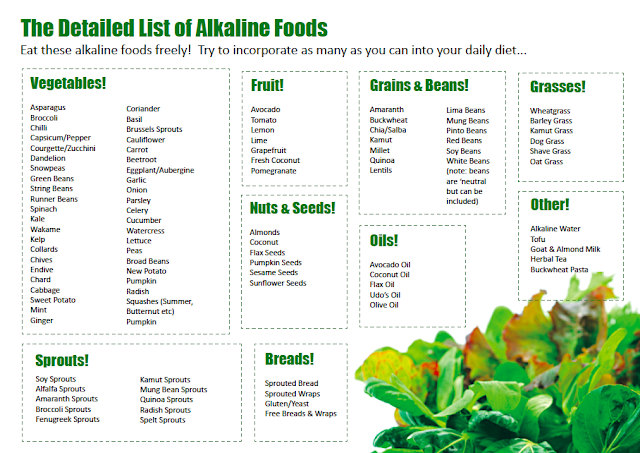 Alkaline diets are a popular choice for people who want to achieve optimum good health. However, many people don't actually understand this diet or how it works. The concept is actually fairly simple - the diet just focuses on regaining the balance that was lost when man started to eat a more domesticated diet. Instead of focusing on foods that are high in sugar, simple carbohydrates (like white bread and chips) and fatty meat and dairy... an alkaline diet primarily moves the balance toward fresh fruits and vegetables, whole grains, wholesome protein sources such as beans and legumes, and healthy oils such as olive and flax seed. These foods may be either alkaline or acid in their natural state, but after the process of digestion they all produce what is termed as an "alkaline ash" once digested and metabolized by the body. When the body's pH is kept at a slightly alkaline level, all the systems can work more efficiently. Thanks Ny, that is great stuff - a wealth of valuable information. My aunt and co-worker died from colon cancer. I'm printing this out! Thanks.